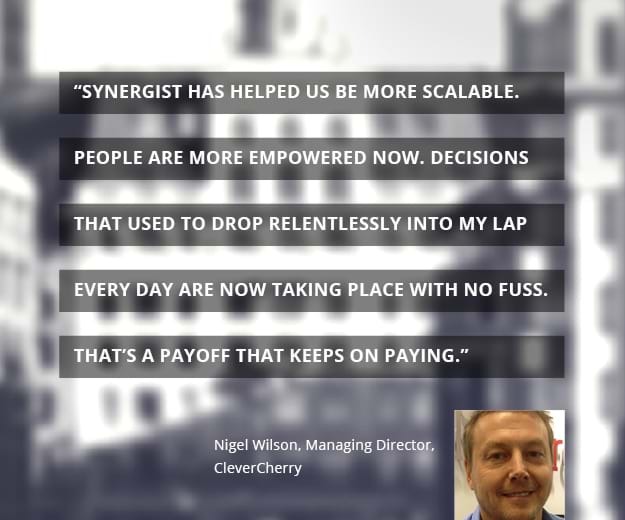 Synergist gives you total live visibility of jobs, projects, profits and work in progress at a glance. It will also automatically compile and send monthly reports containing the precise information you want. It all amounts to the most professional system in the sector – and just think about how that could benefit your business.